Every family faces a need to keep their house clean and comfortable, safe and convenient. It’s hard for contemporary family to find the time to dedicate it to tidying up a large house, because it’s a time-consuming process, and everyone is so busy nowadays! Even such an important thing as window washing and cleaning is often ignored by the householders, because they simply don’t have enough time for it. Fortunately, now this household chore can be delegated to professionals from window cleaning service. Once you’ve ever done window washing, you know that this procedure is essential for house’s convenience and coziness. Clean windows let more sunshine inside the house, making it warmer and brighter, and it’s also a nice way to save on your heating and lightening. But what’s the most important thing, clean windows let you see the outside world better, making your house seem more spacious and fresh. Cleaning windows is a complicated process. That’s why Crystal Cleanings Company offers you some help via its window cleaning service! Crystal Cleanings is a large residential window cleaning company, working in the field of high quality house cleaning for many years. We have already helped many families to keep their houses clean and cozy. Windows cleaning services, that we offer, is the most professional and convenient way to have bright and spacious rooms in your house, where you’re safe from the bad weather and able to enjoy the sun. Ordering our services helps you to save your time and money, solving many problems at a time. affordable for any family, because the services we provide you with are essential. 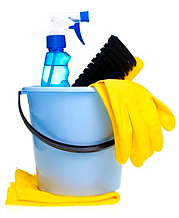 If you have any problems related to order and cleanliness in your house, you can easily solve them with our help. Once you use the Crystal Cleanings maid services, you won’t want anything else, because our help is the best way to keep your house clean without extra expenses!